An extremely powerful move by Nike. Colin Kaepernick is one of the most polarising men in sport. He is an NFL player, who chose to kneel during the national anthem in protest against police brutality. A number of people claim that what he is doing is unpatriotic, to the point that he is currently without a club in the NFL. 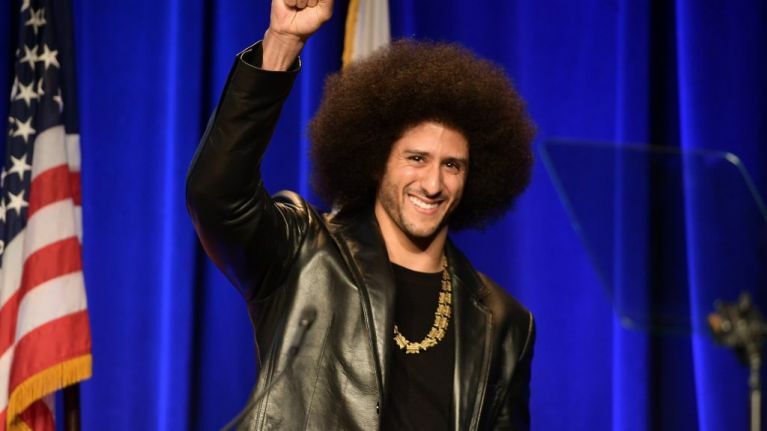 The controversy attached to Kaepernick will not be going away any time soon, following the news that Nike have made them the face of what might be one of their biggest campaigns of all time. The image was unveiled, accompanied by the caption: "Believe in something. Even if it means sacrificing everything." The decision to give Kaepernick such a huge platform will be seen as extremely positive by many, but will certainly cause outrage as well. A recent poll from NBC News showed that 54% of those asked deemed kneeling during the anthem "inappropriate."